Hamelin Bay Hideaway is located in acres of natural bush with nearby Hamelin Bay beach, a pristine sheltered family beach. This tranquil bush setting is within close proximity to the karri forest and many beautiful white sandy beaches, including Cosy Corner and Foul Bay, plus some of the best surf beaches in the region. In winter it is a cosy and peaceful forest hideaway with a wood fire. Hamelin Bay Hideaway - short stay holiday accommodation is self-contained, fully furnished, with a well equipped kitchen (including a dishwasher) and laundry facilities. The cottage has three bedrooms and sleeps up to 6 people. This property does not have wheel chair access. Four wheel driving, fishing, snorkeling, surfing and forest walks are amongst many of the activities enjoyed in the area. Nearby is the Leeuwin-Naturaliste National Park and the Cape to Cape walking track along dramatic coastline with long sandy beaches, ruggesd limestone cliffs and granite boulders sculpted by the sea. Wildflowers are abundant in Spring. Spectcular caves can be explored and take a scenic drive through the beautiful tall karri trees of the Boranup forest. A short drive away are Margaret River’s finest wineries, restaurants and galleries. Migrating whales can be spotted off Cape Leeuwin near Augusta. Visit the Cape Leeuwin lighthouse which stands at the south-westerly-most point of WA where the Indian Ocean meets the Great Southern Ocean. 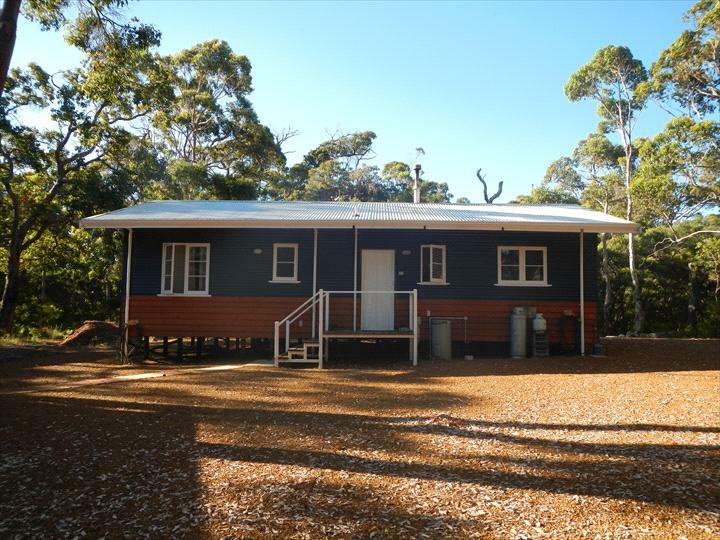 The cottage is located 2kms above Hamelin Bay, which is approximately 25kms south of Margaret River and 15kms north of Augusta. 1. Caves Road (approx. 35mins from Margaret River): Turn left onto Caves Rd from Walcliffe Rd in the direction of Augusta. Drive along the very scenic Caves Rd through the tall Karris of the Boranup Forest. Continue along Caves Rd for approximately 30 minutes. 2. Bussell Highway (approx. 25mins from Margaret River): Continue down Bussell Hwy from Margaret River in the direction of Augusta. You will pass through Witchcliffe and arrive at Karridale. Turn right at Bushby Road just before the Karridale Tavern and petrol station. Drive until you reach Caves Rd and turn left on Caves Rd in the direction of Augusta. After a few kilometres you will see a sign to turn left for Augusta. Do not turn left at the Augusta turn off, but continue straight along on Hamelin Bay Rd following the sign to Hamelin Bay. About 200m after the Augusta turn off, turn right into Colyer Drive, then turn right at the first junction (Colyer Drive is a loop road). Then turn left into Ginko Court. Enter the driveway on the left at the top of the cul-de-sac of Ginko Court at No 11 which is marked on a green post (with the Hamelin Bay Hideaway Cottage sign). Or for the quick way from Perth (less traffic) you can avoid Busselton and Margaret River. Travelling on Bussell Highway after Bunbury. Take the left turn-off (before Busselton) onto Sues Road. Keep driving until you hit the Brockman Hwy, turn right then drive to the end. Turn left onto Bussell Hwy then immediate right onto Bushby Road. At the end turn left onto Caves Road. This turns into Hamelin Bay Road. Turn right on Colyer Drive, turn right again at the first junction and first left into Ginko Court. If cancellation of a confirmed booking occurs the deposit (equivalent to one night’s accommodation) is non-refundable. If cancellation occurs less than 14 days prior to the arrival date and the balance has already been paid then 50% of the balance will be refunded unless the cottage is rebooked in which case a full refund will be made.